We are all so used to speaking English these days, but can you imagine a prospect of a French speaking India? Well it could have happened if Napoleon had followed on with his oriental dreams of acquiring the golden sparrow and won the battles with the British. Napoleon was quite vocal about his desire to conquer the East from the very beginning, as he remarked after his first Italian Campaign: ''My glory is already at an end; there is not enough of it in this little Europe. I must go to the East; all great glory comes from there." While his loss at the battle of Waterloo is apparent to most, the Indian aspirations of Napoleon are not so well known. Britain had been warily battling on with French revolutionary forces since 1793 and Napoleon as you know, was just an artillery officer in the French army when the revolution erupted in 1789. Rapidly rising through the ranks, he became a general at age 24. Two years later he had started his expansionist campaigns, and by 1798 he had reached Cairo. 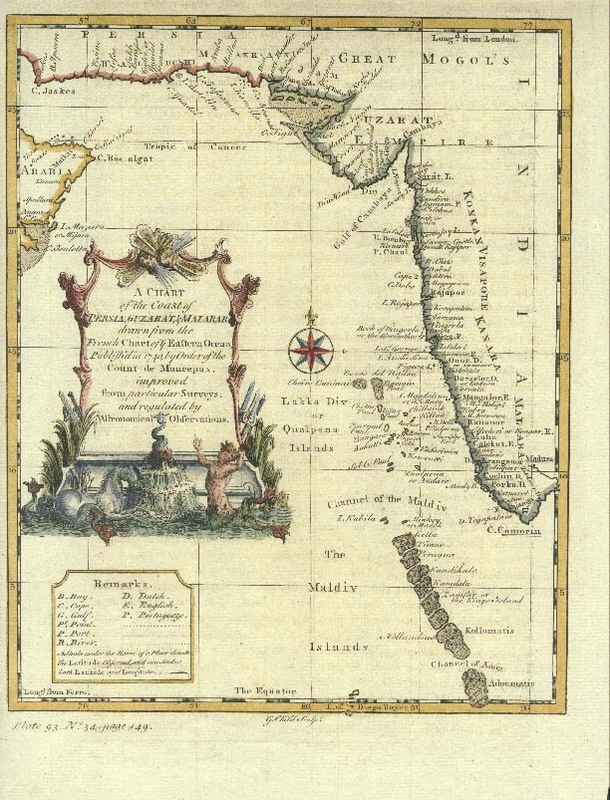 In seizing Egypt, Napoleon’s plan was to curtail Britain's sea access to India and its lucrative trade. Secondly it was to become a springboard for his Indian aspirations and he intended that ‘as soon as he had conquered Egypt’s Mamuluks, he would establish relations with the Indian princes and, together with them, attack the English in their possessions. An Indian prince in question was none other than Tipu Sultan. Wellesley’s prime concern was not only to prevent this Napoleon led invasion plan, but also to utilize the fears and ensure gains for the EIC (by getting rid of Tipu). The 19th century Russian plans (there was one in 1801 and another in 1807) and intrigues came in later and not so well understood or accounted for in most sources, but let’s take a look ourselves. Bonaparte wrote many years later to Mme. de Remusat - In Egypt I found myself free from the wearisome restraints of civilization. I dreamed all sorts of things, and I saw how all that I dreamed might be realized. I created a religion. I pictured myself on the road to Asia mounted on an elephant, with a turban on my head, and in my hand a new Koran, which I should compose according to my own ideas. I would have the combined experience of two worlds to set about my enterprise; I was to have ransacked, for my own advantage, the whole domain of history; I was to have attacked the English power in India, and renewed my relations with old Europe by my conquest. On the 30th August 1798, he wrote to the Directory in France:'' Mistress of Egypt, France will by and by be Mistress of India;" and in January 1799 he addressed the following letter to Tipu Sultan:" You have been instructed as to my arrival on the borders of the Red Sea with an innumerable and invincible army, filled with the desire to deliver you from the iron yoke of England. I hasten to request you to give to me, by way of Muscat or Mecca, news as to your political situation. I would I like you to send to Suez some able man in your confidence with whom I could 'confer." The events surrounding all these intrigues were detailed in a previous article covering Ripuad’s activities in Mysore. On the Indian side, these events led Tipu into British hands when it became clear that the French could not support him in strength, but then again, let us focus on Napoleon’s grandiose plans, for now. Any initial plan of using his naval forces was foiled after the defeat of his navies by the British in Aug 1798 on the Nile. The British fleet under Nelson captured or destroyed all but two French vessels in the Battle of the Nile and became the masters of the Arabian seas. The impact of that defeat was huge, for this cut off all his supply lines and potential army reinforcements. Even though he mulled over this for a few months in Cairo, the prospect was clear, his eastward advances had been severely impacted and he had to return to France. On 24 August 1799, he took advantage of the departure of British ships from French coastal ports and set sail for France. Soon, he engineered a coup and became the first consul for 10 years and went on to establish a new system called ‘dictatorship by plebiscite’. His European campaigns continued, but in his heart the Indian dream lived on. Napoleon continues - The time which I passed in Egypt was the most delightful part of my life, for it was the most ideal. Fate decided against my dreams; I received letters from France; I saw that there was not a moment to lose. I reverted to the realities of life and I returned to Paris - to Paris, where the gravest interests of the country are discussed during the entr'acte of the opera. So long as Napoleon remained at the helms of affairs in France and with Tipu on the offensive against them in India, the British continued to be wary of their potential interplay and machinations. So the next British task was to focus on Tipu and get him out of the equation. Thus in 1799, the British attacked and decimated the Mysore Sultan’s forces in the battle of Seringapatam, as well as killing their dreaded Tipoo Saheb. The Russian entry into this equation had much to do with Malta. Earlier Russia had declared war on France due to its conquest of Malta. But in the course of that war, when Britain took Malta and refused to hand it over to Russia in 1800, the Russian Czar Paul decided to align itself with France. It was said that Napoleon, the shrewd strategist he was, realizing that his naval strength would not match up with the British, now planned land-based forays into India and this time, he would not be alone, for he had Russians as allies. But was it his plan or Paul’s plan? We shall soon see. RG Burton explains - He did not, however, cease to be attracted by the glamour of the East. In the year 1800, a treaty of peace was concluded between France and Russia, and experts were appointed by the Emperor Paul to consider the question of a combined Franco-Russian invasion of India. 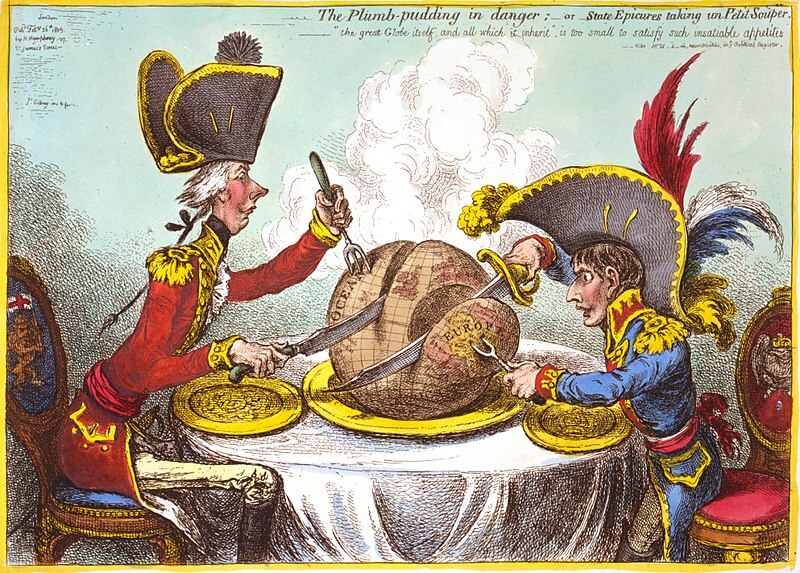 In 1801, two expeditions were proposed, a Russian one through the Ural Mountains to the Indus (a rather vague proposition), and a French one through Persia, of which it is recorded that - the plan for the latter was worked out in the minutest detail, and every item was carefully commented upon by Bonaparte. Let us first look at the Russian plan. 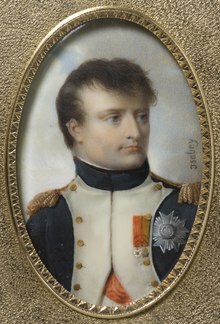 It is now clear that the Paul plan preceded the Napoleon input and had already been put into effect. In Jan 1801, Paul wrote to General Vasilii Orlov to start executing a preemptive attack on British dominions in India. The details of this missive are provided in David Schimmelpenninck van der Oye’s as well as John Strong’s papers. “I must go on the offensive and attack them where the pain will be greatest and their expectations least. Their dominions in India are best of all. It will take us three, four months at the most, to march from Orenburg to India. I entrust the expedition to you and your troops.…All India’s riches will be our reward.” This in history books is called the quixotic Indian march of Paul. On 1st February 1801, Orlov confidently reported to his master that he could gather a force of 21,000 men, within 14 days which eventually totaled to 22,507 cavalry troops. They were mostly Cossacks and some 500 Kalmyks. Each soldier came in with with two mounts and a month and a half of provisions. Twelve physicians, as well as translators competent in the languages of Khiva, Bukhara, Indian and Persian were assigned to the group. The Russian treasury allotted 1.67 million rubles for the campaign. After gathering rudimentary maps and other information, Orlov’s troops were on the move by End February. The troops could cover some 30–40 kilometers a day initially, but soon ran into difficulties with harsh weather and rains. Food and fodder was an issue at times and they trooped on slowly, southwards, destined for a country they had absolutely no clue about through terrains they had never crossed. Back in St Petersburg, on a cold Monday night, the 11th of March, which was to be the last of his life, Czar Paul hosted a dinner party at the palace. There are differing accounts of what happened later, but a group of conspirators overpowered the private guards, broke down the door and accosted Paul. The conspirators pulled him out, forced him to the table, and tried to get him to sign an abdication. Paul offered some resistance, and a conspirator struck him with a sword, after which the assassins strangled or trampled him to death. 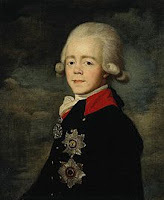 Alexander, his son, who perhaps had some involvement in the sordid affair, took over the reins of Russia. 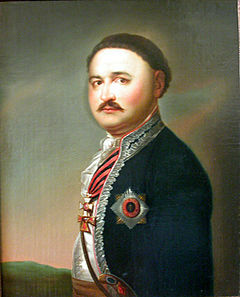 Alexander, not wanting to be dragged into a costly war with Britain, halted the expedition to India and Orlov was ordered to release his soldiers back to their homes. By the time Orlov received the message through a courier, it was 25th March and he had covered some 700 km. But they all came back and by late April, they were back in their villages. The Indian plan of Paul was dead, just like the mad monarch who conceived it. Napoleon - When Paul was so violent against you (The British), he sent to me for a plan to invade India. I sent him one, with instructions in detail (Here Napoleon shewed me on a map the routes, and the different points from whence the army was to have proceeded). “From a port in the Caspian Sea he was to have marched on to India. Russia,” continued he, “must either fall or aggrandize herself, and it is natural to suppose that the latter will take place. O’Meara - I asked him if he thought that Paul had been mad. He also recalled his previous Egyptian overtures - I have been reading three volumes on India. What rascals those English are! If I had been able, while in Egypt, to pass over into India with a small body of troops, I could have chased them out of it. The East only needs a man. Whoever is master of Egypt is master of India. If I had taken Acre, and that was only prevented by three wretched little ships which were afraid of approaching the fortress, I should have gone on to India. My intention was to take the turban at Aleppo. I was popular enough for that, and I should have found myself at the head of a fine army and two hundred thousand auxiliaries. The Orient only needed a man! He added something that explained why Paul’s solo plan failed. Russia might easily send twenty thousand regular soldiers and twenty thousand Cossacks to conquer India; but it would need generals of reputation to induce the tribes and nations they might meet upon their march to become their auxiliaries. His strategy was simple, as he explained to Gourgaud, though only on paper - When I was in Egypt I raised a company mounted on dromedaries, in squads of five, with two horses and eleven men to accompany them. They were to carry provisions for a month. Water can generally be found in the desert every four days……. This dromedary corps was an experiment, to see if I could not by such means get into India. I wanted to bring fifteen thousand black men from Darfur, who if well officered, would have made excellent soldiers. I would have had sixty or seventy thousand men for the kernel of my army. In the desert I would have marched ten leagues a day in three columns en echelons, so that we might find sufficient water in the wells. I could have had as many dromedaries as I wanted. My sick, my ammunition, and my provisions would have been placed on these animals. I would have had no carriages on wheels, except such as were needed for the cannon. I would have concentrated my columns before entering inhabited places. I would thus have marched to the Indus and have destroyed the power of the English in India. It would have been a march of three thousand miles. I would have made a long halt on the Euphrates and at other places, according to circumstances. I would have had rations prepared to be transported on the dromedaries - rice, flour, and coffee, enough to give a pound a day to each man." "Sire, the English have one hundred and sixty thousand men in India," interrupted Gourgaud. "But I would have allied myself with the Mahrattas. They would have furnished me with excellent cavalry. Besides, the sepoys are natives of India. The English very much dreaded my coming. That was why they took possession of Alexandria. But some day they will see what will happen to them from Russia. The Russians will not have so great a distance to march to enter India. They are already in Persia. Russia is the power likely to march the most safely and most swiftly to universal dominion." But that Napoleon plan of 1800 was already obsolete, Paul was no more and Alexander was not one to rush into another cross country missive. A fresh plan was needed and one was indeed set up between Alexander and Napoleon. As you can imagine, that is a story by itself and I will cover it in part 2 of this account. Strange is the fact that St Helena where Napoleon was interred is an island discovered by the Portuguese during their Indian voyages. 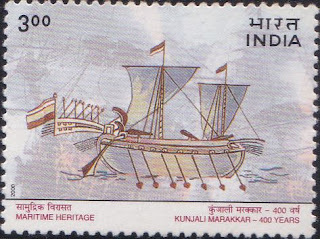 It was to have been a watering point for ships on their long voyage to India. In fact there were many of Indian origin in St Helena when Napoleon was exiled there. As Napoleon rotted away there, he continued to dream about India and is rumored to have promised a wealthy girl from an Indian family vacationing there, fascinated by her red tinged eyes, that he would one day conquer the country, find all the real rubies in India and gift it to that lady.